Minutes are posted under the Members tab. You need to be logged in to view them. Pin Oak Hunting Retriever Club is a 70+ member hunting retriever training club. Based in Little Rock, Arkansas. We hold organized training days on the second Saturday of the month, from February to September. Please see the Events page for meetings, training days and other events. Whether you are an experienced trainer or a first time dog owner, Pin Oak is the club for you. Our members are dedicated to the principle use of retrievers as conservation tools and the betterment of retrieving breeds through selective breeding and training programs. Individually and as a team, we are committed to improve each retriever and bring about their maximum potential. Join us and work to bring your hunting companion to greater success. The Pin Oak Hunting Retriever Club is a family oriented organization founded by hunting enthusiasts affiliated with Hunting Retriever Club Inc (HRC). 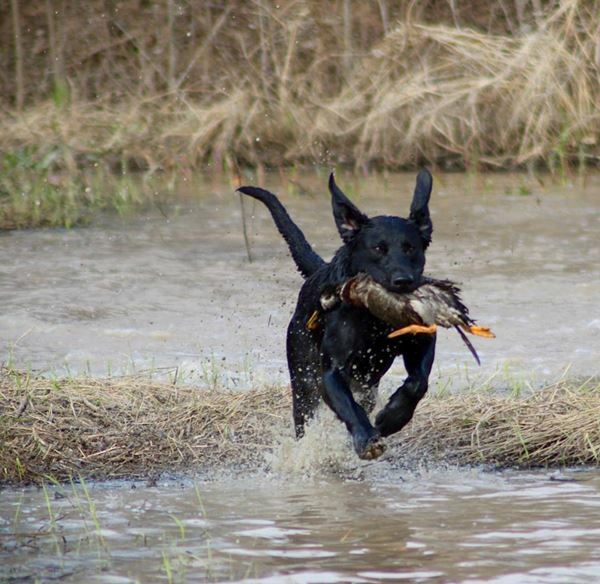 Our members are engaged in raising, training and testing hunting retrievers. Our goal is to promote and encourage hunting with a trained hunting retriever. This not only improves the hunting breeds but also promotes conservation of waterfowl and upland game birds. You’ll find our dogs at events such as the HRC International Grand and Super Retriever Series as well at local club events all over the US and Canada. Our members are committed to taking their retrievers to the next step. We also have fun hunts, club shoots, parties and other social events for our members and their families. We are 1 of 132 Hunting Retriever Clubs located throughout the United States and Canada. Our dogs are registered with the United Kennel Club and attain points towards the Started Hunter, Hunting Retriever, Hunting Retriever Champion, Upland Hunter and the Grand Hunting Retriever Champion Titles.